Recently, there’s been a lot of volatility in the stock and amongst the commodities markets. 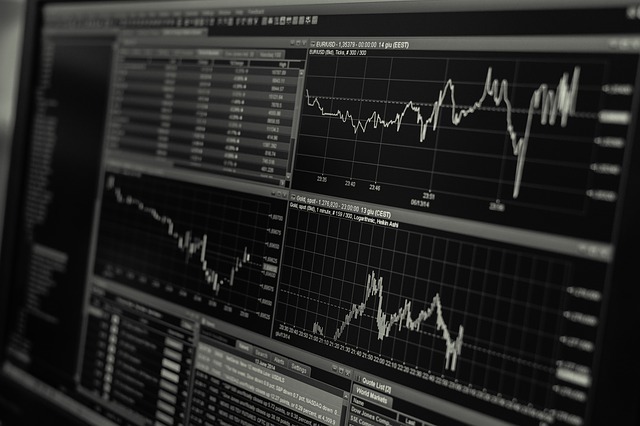 Between Friday and today, there have been stock levels on the Dow and ASX that have experienced substantial declines, losses comparative to those not seen over the past 2 years. The Japanese Nikkei 225 tumbled, leading the Australian market at 2.6% and the US market at 1.6%. This comes just after the US economy showed strengthening and global exchanges such as the Australian dollar followed suit, moving to US80.5c as the Euro found support – directly influenced by the US dollar. Gold has experienced it’s share of setbacks too over the past 2 weeks, with commodities being directly influenced by trade markets. Stabilising prices amongst crude oil suppliers were however favourably found, with West Texas in the US stabilising at prices above $US65 a barrel. Commodity pricing was influenced by the stabilising US dollar and the spot price regained composure at $US1350, falling short of a 2 and a half year high. Here at Brisbane Gold Brokers, we try to help our customers find the right time to sell, and when the market takes a dive, we endeavour to support the highest payouts as we’ve always done, while compensating as best we can for lost margins. If you have any questions around spot pricing, market volatility, influencers in commodity pricing, and of course, wish to bring your gold in for valuing, simply call Brisbane Gold Brokers directly on 1300 88 79 02 or pop in to your nearest branch. 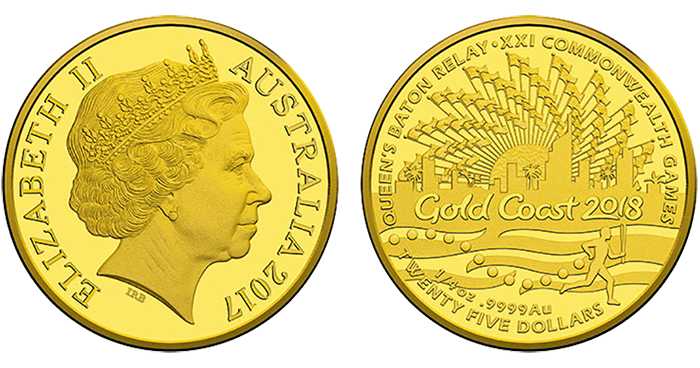 With the Gold Coast 2018 Commonwealth Games coming up, some of our customers have asked us about metal items related to the games including the medals given to the athletes as well as the special gold coins released by the Royal Australian Mint. The value of these items has also been asked…. Typically Commonwealth Games medals are made up of a solid circular piece of metal (Gold, Silver and Bronze) with engravings on either side displaying location relevant royal, cultural and other symbols. The design typically reflects the history and cultural heritage of the host city (and country). As you can expect, the Gold Coast 2018 Commonwealth Games will have some very unique, spectacular medal designs. The Royal Australian Mint has also released Gold Coast 2018 Commonwealth Games commemorative coins. These coins ($5 and $25) are a limited release with a high value. So what is the estimated value of these Commonwealth Games items typically? First, the true value depends of the sellers and buyers point of view (based on factors such as time and location). The other point of view is the scrap value. The first and easiest way of calculating the scrap value of a Commonwealth Games item is figuring what the metal is worth if one were melted down. Using our gold calculator we can get the latest, most up to date price based on the weight of the item. If you’re interested in more information about Commonwealth Games metal items such as medals and coins, or want to sell any old valuables such as gold coins, rings or even medals, visit our store located at 501/180 Queen St, Brisbane City QLD 4000. If you’re at the Gold Coast, no need to travel far as we have stores there! Our Southport store is located at Shop 1/32 Davenport St, Southport and our Broadbeach store is located at 2/2705 Gold Coast Highway, Broadbeach. 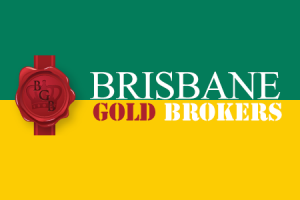 Go for Gold at Brisbane Gold Brokers! Does the interest rate affect gold value? Due to the falling commodity prices and trade, Australia’s Reserve Bank moved Australia’s interest rate down to 2 percent earlier this month. Occasionally some of our clients ask us around an interest rate change how it affects the price of gold and if so, how to maximise the return. Valuing gold is actually quite complicated and the most difficult compared to other commodities. Some experts have often said there is usually a pattern between interest rates and gold prices, however, people should not use that pattern or similarity as a guide due to the complex nature of gold values! – The Australian dollar, which is affected by factors such as labour, manufacturing, inflation, consumer and business confidence and many other factors. – Unemployment. One of the most important parts of the Australian economy is employment. Looking at trends overseas, the gold price has typically gone up when employment levels have gone down. This has not always been the case (especially Australia), however the data is an important sign of how the economy is performing. – News, events, disasters. Major events such as disasters, even changes in government can have an affect on the price of gold. Tensions between countries also have affects. – Deflation, inflation. Strong inflation usually means strong economic growth and the Reserve Bank may increase the interest rate to slow it down a little bit. Does this effect the price of gold, its another factor, so yes. – Financial crisis. After the 2008 financial crisis, the price of gold grew a lot in various countries, including Australia. Why did the price increase so much? There are many factors, including the above! At Brisbane Gold Brokers, we always follow the latest gold prices using a combination of industry-leading sources, our experienced gold economists and our innovative, proprietary system. When you see our gold price board on our homepage, you are seeing the most up to date gold prices in Australia! Our backend system works around the clock to ensure our website only displays the most accurate information possible. Budget 2016 expected to be available tonight at 7:30pm Australian Eastern Standard Time and is expected to deliver increased taxes for items such as tobacco (tobacco tax) while also delivering tax cuts for companies (company tax) and average income earners (who make over $80,000 per year). Big infrastructure projects are another expected key highlight of the budget – providing funding for major building projects such as the Ipswich Motorway and other road and rail projects across Australia. Australia’s budget 2016 effects gold! What does Australia’s budget 2016 have to do with gold you might ask? There are many factors which connect the two – From taxes to the economy overall. In Australia, we are extremely lucky we do not have to pay major taxes on buying or selling gold. In India, sellers of gold and jewellery are going on strike in protest over a gold tax, which forces them to increase the costs of their products by 1%. This is on top of existing import and other taxes! 1 per cent might not seem much, but when its thousands of dollars, it adds up and it makes selling or buying gold less worthwhile. No matter what country, this sort of tax would greatly effect low to medium income earners. In Australia, because low to medium income earners aren’t receiving any tax cuts and will experience most of the tax increases (eg. for purchases Tobacco etc), gold trading is expected to increase to make up for the higher cost of living. With an increase of gold trading (buying/selling), overall competition for YOUR gold is going to increase. That is great news for YOU and it’s time to use this to YOUR advantage right NOW! How do you use this opportunity to your advantage? Visit our store or call us right NOW to get the best price possible for your gold! At Brisbane Gold Brokers we always offer the best prices in Brisbane. We have a team of gold professionals that ensure our prices are current and up to date by the minute to sell gold! Our team are always researching the market – identifying trends, changing conditions and aspects that can effect the market. Our team is the best in the business and is part of Brisbane Gold Broker’s industry-leading, unique offering for Brisbane and Australia. Whats your role at Brisbane Gold Brokers? I’m the manager of Brisbane Gold Brokers’s Gold Market Research team. Our team researches the Australian and global gold markets. We look all sorts of factors that may effect the price of gold. We also constantly provide our store the industry’s best gold and silver prices. Our team is working 24/7 to ensure everyone gets the best cash for their gold! Whats the gold situation in Greece at the moment? Typically in times of financial crisis people tend to buy high amounts of gold in all forms (rings, jewellery, bullion, etc) to provide them with financial stability. There have been several reports of people in Greece doing exactly this due to whats happening with their banks. People are worried but gold has been sort of a hero during these tough times. What are people doing with their gold? I’ve read some reports of people selling their gold to businesses in the US and UK. It wouldn’t be uncommon for Brisbane Gold Brokers to get enquires in terms of distance from locations as far away as Greece! At this time people in Greece would be best to look overseas to sell gold while things are still being sorted out in their home country. So with the problems in Greece, what does this do to the price of gold there and Australia? The event has caused the price to flat line due to a number of factors including market uncertainty, interest rates and of course the high amounts of gold circulating in the country. What about Australia? Well, we haven’t seen any real effects, which is great. However, you should always be aware that major financial problems in other countries do have flow on effects globally. If the Greece situation keeps getting worse, it may have an effect on Australia’s gold price. So is now the time to sell just in case it does get worse? I believe its always the best time to sell gold, especially due to Brisbane Gold Broker’s high payouts. Simply call or visit Brisbane Gold Brokers with your gold to get the best possible payout. Our gold inspection team are always available to help you get the best payout! Gold, and specifically it’s rich and vibrant colour is embedded within our culture as one of Australia’s prominent and primary defining colours. Our country’s gold history is advertised each time you sink a XXXX beer, is one of the country’s people’s colours of choice for casually worn apparel, and notably, the colour gold is symbolically worn and sported by professional athletes representing our country in cricket, football and of course soccer. The history of the colour gold as a national definitive can be dated back to recent history when it was famously elected as one of the two national colours that would represent Australia – by the then Prime Minister Bob Hawke, in the year 1984. Some may argue that it was chosen for its representation of Australia as an opulent country rich in minerals; others suggest simply that it is more representation of Australia being ‘rich’ in opportunity, which may appear the nobler motive. And by coincidence of course, the chemical element symbol that represents gold is Au, which is not believed to have had weight on Hawke’s decision. But closer to the truth behind the choice of gold as a national colour representing Australia may in fact date back further to the mid 1800’s, to a period of significant immigration of workers chasing the golden dream and the promise of riches. A period known as the Australian Gold Rushes. The history of gold is something that we follow here at Brisbane Gold Brokers and will continue telling the gold story as we continue our journey as professionals within the gold buying and selling industry. It is this history that defines our business and it’s this untold history that most of our clients don’t know about when they come in to sell their gold bracelets, rings, earrings and scrap gold. Here at Brisbane Gold Brokers, we make it part of our business to identify items by their historical value and not just their monetary value. When you’ve got gold that is old or broken or just doesn’t hold any longer that same sentimental value that it once did, you may consider repurposing that gold by selling or trading it in for it’s inherited cash value and using that money to support a goal or purpose that’s closer to your heart. Being Christmas time, you may choose to sell your gold and use the income to buy Christmas presents for the family, put an extra payment on a loan, treat yourself to a holiday or even give the money to charity to support another cause that you can feel good about. At any point during this process, it’s important to be informed of your gold’s characteristics before you go ahead with a transaction with a a buyer or broker (learn more about a gold broker here). One important characteristic we’re talking about here is the Karat value of your gold (your gold items gold purity), and discovering it for yourself. A gold value (in Karats) along with the weight and current spot price are the main determinants of the cash price value of your gold – and ascertaining the karat value yourself isn’t that difficult. By simply knowing where to look and with a keen or discerning eye, after just a little bit of searching on the surface of your gold items – and then relating the found code, hallmark or stamp back to it’s Karat reference – you’ll soon have the answer. Gold rings as an example, have their value written on the inside of the gold band. Gold necklaces may have the stamp located near the chain clasp – the position that during use, sits close to the back of the neck. As a general rule, stampings are usually located in a position that sits out of regular sight during use so not to be noticeable, but in a position that is large enough to contain a 3-digit number (how gold value codes are generally expressed). An example of a common stamping that you may find are ‘9K’ , ‘9ct’ or ‘375’ (which all refer to the same value). As a point of reference, 37.5% (hence the 375 value) refers to the gold items percentage of contained, pure gold. For more information on Gold Purity, click here. Other common values you might decipher from stamps located on your gold items include ’18K’, ’18ct’ or ‘750’ which equates to 75% gold in total, or ’24K’, ’24ct’ or ‘1000’ which refers to 100% pure gold. Your gold item’s cash value is based on the weight of your gold item and the percentage of gold the item contains (Karat), which is multiplied by the current live gold price. Once you’ve worked out the Karat value of your gold as well as the weight, it’s easy to determine the value yourself using the Gold Calculator tool located here, or on the front page of the Brisbane Gold Brokers website. We hope this helps you in the preparation process should you consider or choose to sell your gold. And from the Brisbane Gold Brokers Team, we would like to wish you a Merry Christmas, all the best with the holiday season, and every blessing for the New Year.